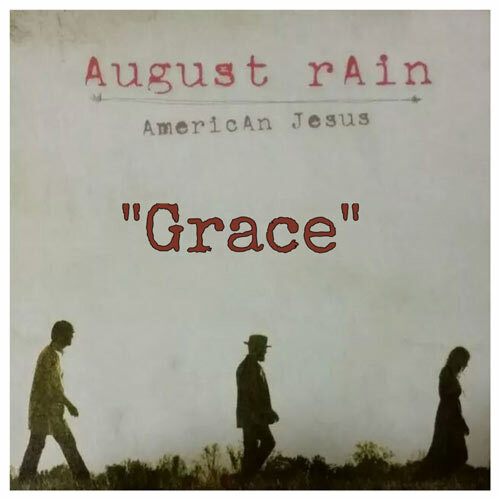 Indie Favorite AUGUST RAIN Releases Debut Single "Grace"
Conyers, GA - Today, the Atlanta-based August Rain is debuting their new multi-format single "Grace" via the PlayMPE platform. The debut single off their highly anticipated new CD AMERICAN JESUS, "Grace" is written with raw and authentic lyrics that tell a story of faith and determination in the face of struggle. Even before the official release, an impressive number of networks have become early adopters of "Grace," including Family Life Network, WECC, KYXY, WCLQ, WJQK, and a dozen others across the country. In order to stay true to their "rootsy-style rock", the band once again enlisted the production talents of award-winning producer Jason Hoard (Third Day, Casting Crowns) of Black Cat Studios. In the studio, their "give-and-take" collaboration in vocals and instruments allowed Hoard to capture the vision surrounding the musical and personal journeys of each member, while pushing the young artists to grow sonically. AMERICAN JESUS is a blend of styles, including the upbeat standouts "Walk Like Enoch," and "Bloom", while "Little Ones" takes listeners on a more emotional journey. Title track "American Jesus" sonically solidifies the band's gritty, powerful vocals, while lyrically it is a call to action to live our lives on earth as a reflection of Jesus, not of culture. To round out the project, the band enlisted the harmonizing vocal talents of Word Entertainment artist Dara Maclean for the song "Highway". Her own blues-influenced Southern vocals blended effortlessly with August Rain lead singer Matthew Janzen. When asked about how this album is different from the first three, drummer Frank Bowen said, "From talking to so many souls over the past seven years, we think most people feel lost, hurt, bitter, discouraged, or broken in some way. It's not gloom, it's reality." He goes on to reaffirm our hope, continuing, "We are here to say that's us too. We are also here to say that we have a Savior big enough to handle all of it." Radio stations can download the new single "Grace" now on PlayMPE.